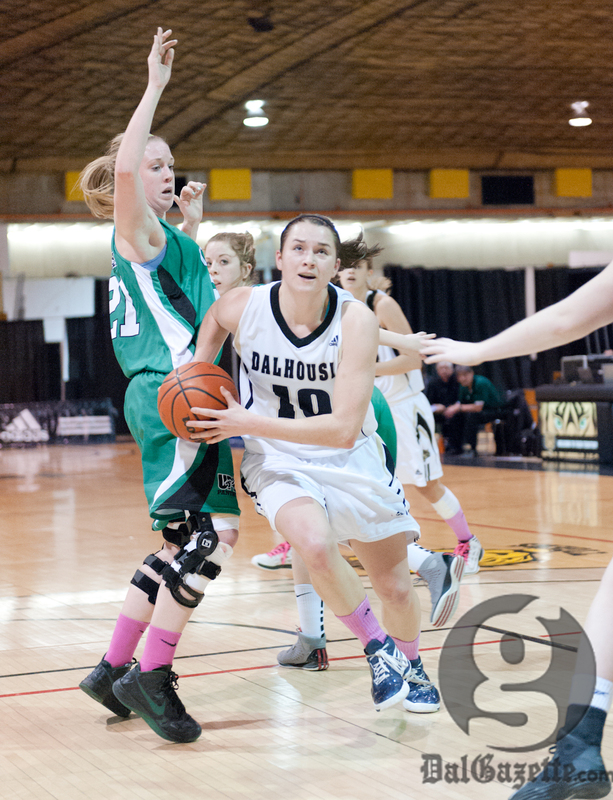 Unexpected heartbreak is the best way to describe this past weekend for the Dalhousie women’s basketball team. After falling at the hands of the last place UPEI Panthers on Jan. 25, the Tigers lost a game that stayed competitive until the very last seconds against the Cape Breton Capers. Dal led for the majority of the contest, but was unable to sustain their edge in the fourth quarter, dropping the match 78-76. Tigers head coach Anna Stammberger doesn’t believe her squad fell apart in the fourth quarter. She believes they didn’t play well enough defensively all game. Dal lost their lead with 33.4 seconds remaining after a CBU rally in the final minutes. The home crowd was buzzing as Dal’s Tessa Stammberger attempted a three-pointer but missed, sealing the Tigers’ fate. Dal’s Keisha Brown had one of her best games of the season, scoring an impressive 29 points and leading the Tigers with 37 minutes on the floor. Brown thinks her team’s downfall was avoidable. Coach Stammberger says Brown’s play is rubbing off on her teammates. “I don’t think we could use her more. She’s playing hard but it still falls back on our defence,” she says. The two home defeats bump the 8-5 Tigers down two spots to fourth place. The shuffle pushes Dal behind Acadia and St. Francis Xavier in the AUS standings. With the season drawing to an end, Stammberger says the Tigers need to put this weekend behind them to prepare for upcoming contests against UNB and the first-place Huskies.